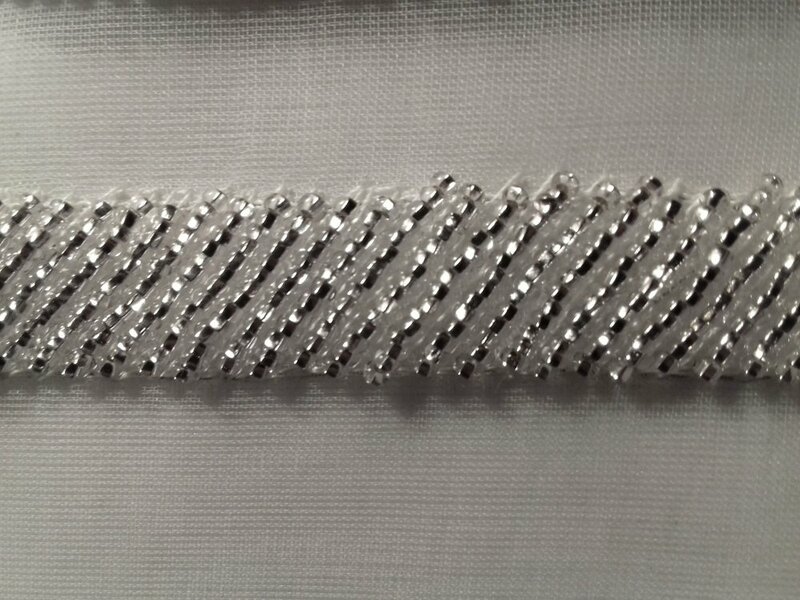 It is used as a decorative filling stitch with silk or rayon silk threads to create a beautiful flat surface with lustre. This is much trickier than expected as the silk thread is made of minuscule filaments that are twisted together but if they catch or unravel with the hook they separate into tiny fly-away hairs that can become nests of angry knots. To avoid this you can gently stroke and gather the thread with your hand between each stitch and ensure that the entire thread is caught in the hook. The impossible part comes when you turn the hook to bring it to the surface and the thread slips out, catches under the fabric, unravels into a dense knot and the hook returns empty. The frustration of these knots and the vain attempts to resolve them, the repeated stroking and brushing of the thread to avoid them and the act of pulling the tension on the rare successful stitch all combine to make your hands sweat. The initially shining, lustrous silk thread becomes a damp, frayed and limp string and you feel like pulling your own hair out! When creating a corner or a confluence with beads it is necessary to block the tension on the row you are finishing with a tiny stitch. This helps to keep the beads in place and the row straight. 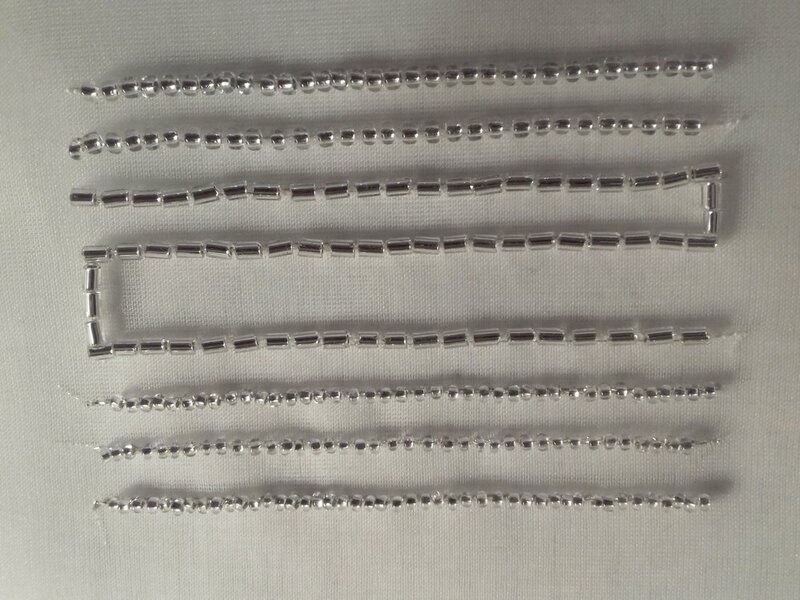 Depending on where the first bead of the perpendicular row will be placed, you do the next stitch along the middle of the last bead or outside the last row. 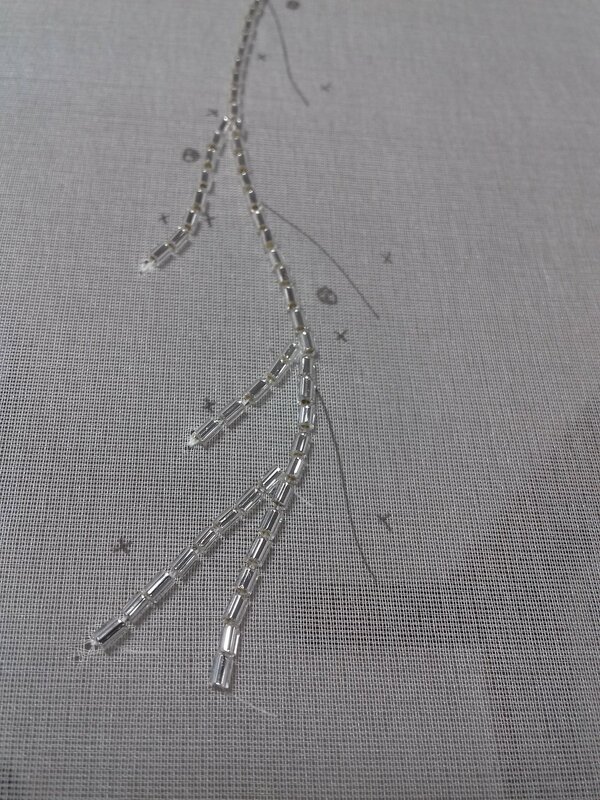 This stitch is very important as it will determine whether the corner is exactly perpendicular, which it must be. 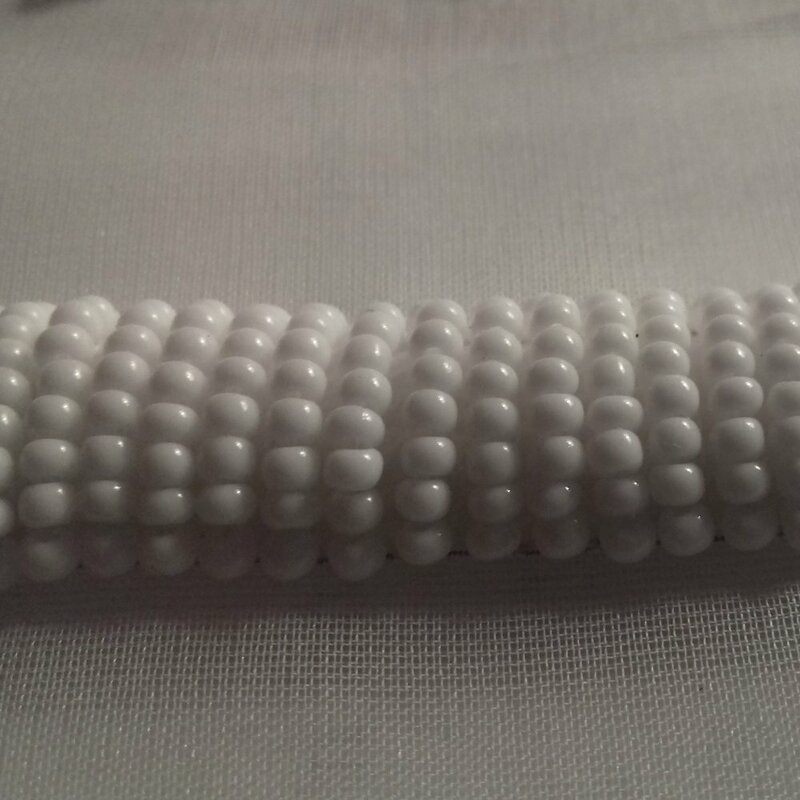 When doing a confluent row of beads, you begin at the adjoining row. The starting stitch must be right beside the chain stitch of the row you are going and this will avoid any gaps in the merging rows. But you must be careful not to go too close as this can push the first row of beads out of line. Jewels can be added in two different ways depending on how they are made. The first is À la Puce or from the flea and it is used when the jewel has one hole in the centre. 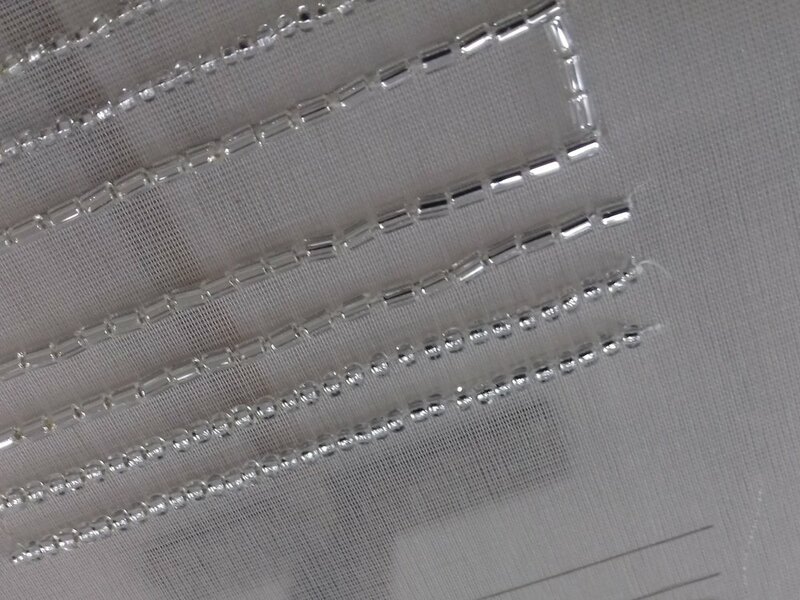 Surprisingly, the hook is used to stitch the jewels into a tight chain stitch, leaving a 5mm space between each one. 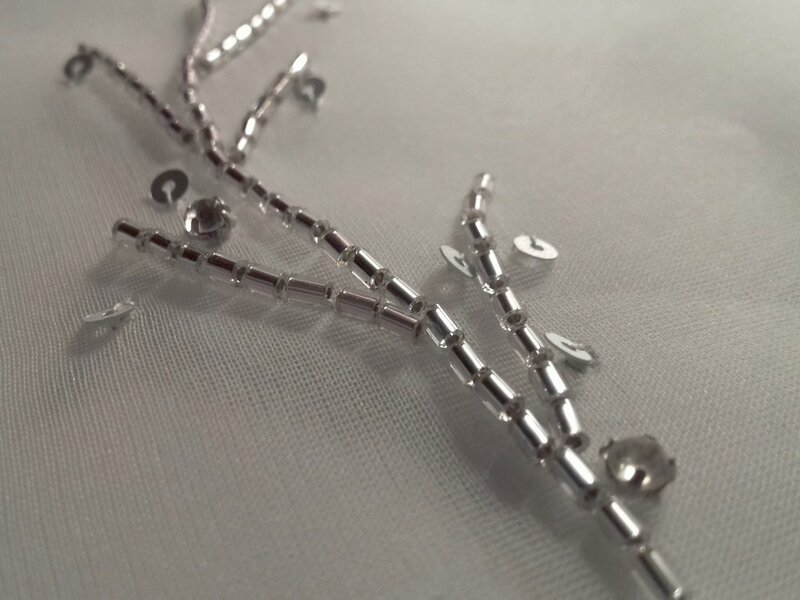 Jewels with a claw fixture have two tunnels forming a cross beneath the surface and the needle is used to stitch them in place securely.